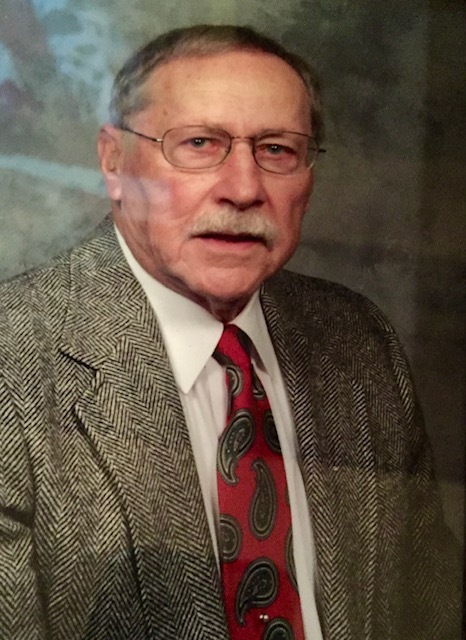 Roy G. Graham, 90, of 212 South 17th St, Lewisburg, went to be with the Lord on January 24, 2019 at Elmcroft, Lewisburg, from a chronic illness. Roy was born on December 16, 1928, the son of the late Nancy Baughman Graham and Charles R Graham. He was married to the former Marion (Smith) Graham for 42 years, who preceded him in death. He was a graduate of Mifflinburg High School. After completing High School, he joined the United States Navy from 1944-1946. He was also a graduate of Thompson Business School. Roy retired from Eastern Industries, formerly Faylor-Middlecreek, Inc in 1996. He belonged to American Legion of Mifflinburg, and VFW. He was an avid hunter and fisherman, and a longtime member of the Sand Run Hunting Club and Lewisburg Alliance Church, where he served as a Deacon. Surviving is his son Matthew Graham and daughter in law Brenda (Roush) Graham of Bradenton, FL. There will be no public viewing. Relatives and friends are invited to visit with the family from 12:30 to 1 pm on Saturday, February 2, 2019,followed by a memorial service to celebrate Roy’s life beginning at 1 at Adamo’s, 16 Walnut Street, Mifflinburg, with Pastor Boyd Carney and Pastor Rubens Ruba, officiating. In lieu of flowers, those who so desire may make memorial donations in memory of Roy to the Lewisburg Alliance Church Benevolent Fund, 137 Supplee Mill Rd Lewisburg, PA 17837.